Foxygen have a knack for creating catchy tunes that combine classic sounds with quirky and creative songwriting. 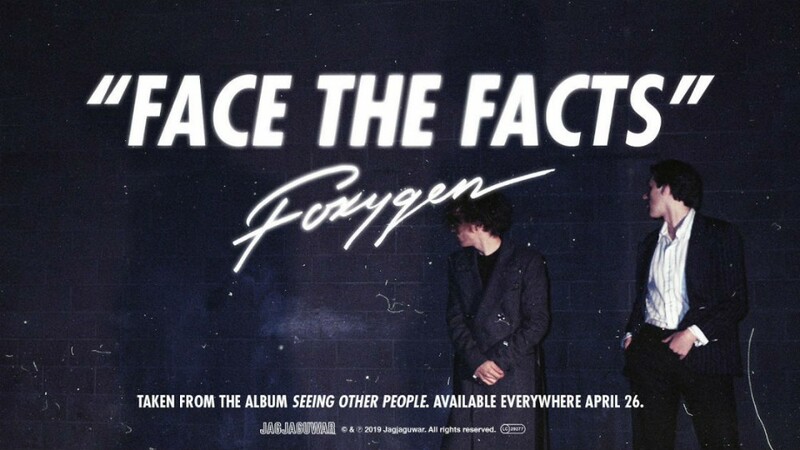 Listen to "Face The Facts" above on YouTube, from their soon-to-be-released album Seeing Other People. With lyrics like "When I think of you, it feels like I am living in 1975, now that it's over," there is a clear nod to that bygone era. The funky rhythm and vocal delivery bring to mind the music of artists like David Bowie, Lou Reed, Hall & Oates, and Prince, while Foxygen's signature style features layer-upon-layer of instruments and intricate production. The lyrics also set the song apart, pushing a narrative of loss and longing. A widely circulated quote from the band describes the upcoming album as "Sad-Boy Plastic-Soul Adult-Contemporary Cartoon-Noir." Following the album's first single, "Living A Lie," that description seems pretty accurate, and shows the band parodying themselves. Foxygen have always been hyper self-aware and had fun adding their little twists to cliches of rock music. Looking at the album, there is a theme percolating around coming to grips with the differences between perception and reality, and reconciling unpleasant truths. It will be interesting to see where the album might go from here. Seeing Other People is out April 26, 2019. Pick it up on Amazon. For more, check out Foxygen's Zumic artist page.